An indigenous designed and led conference titled: “Winyan Awanyankapi: Protecting the Lifegivers — Missing and Murdered Indigenous Women, Indigenous Peoples Sovereignty of Housing and Water “will be held April 5-7, Friday evening to Sunday noon. All are welcome. Registration is now open. Those who don’t plan to attend but wish to support the conference should mail checks to First Universalist Church and put “Protecting the Lifegivers Conference” in the memo line. Mail it to First Universalist Church, 3400 Dupont Ave. S., Minneapolis MN 55408. 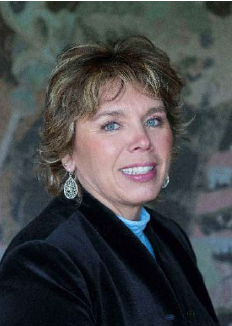 Friday evening: The conference opens with ceremony, followed by a keynote address by The Honorable Anne K. McKeig, the first Native American appointed to the Minnesota Supreme Court. Justice McKeig is a descendant of the White Earth Nation and native of Federal Dam in Northern Minnesota where she grew up on the Leech Lake Reservation. Prior to serving on the court, Justice McKeig worked as an Assistant Hennepin County Attorney for more than 16 years, handling child protection cases and adoption matters, with a specialty Indian Child Welfare Act cases. She will speak on the ongoing crisis of Missing and Murdered Indigenous Women. Saturday morning: Participants will choose between participating in a Dakota Sacred Sites Tour or joining one of three concurrent breakout sessions. Ramona Kitto Stately (Santee Sioux Nation) and Jim Bear Jacobs (Mohican Nation) will lead the Sacred Sites Tour. The breakout options include Nancy Bordeaux (Sicangu Lakota) who will speak on “Historical Trauma: Cultural resilience.” The other sessions will be led by Suzanne Nash (Anishinaabe) the First Medicines Program Manager for the Indigenous Peoples Task Force, and T. Marie King, activist, speaker and trainer, who has served as an authentic voice for progress in the City of Birmingham. Saturday afternoon: The afternoon starts with a keynote speech by Patina Park (Cheyenne River Sioux Nation) executive director of the Minnesota Indian Women’s Resource Center (MIWRC): She will speak on Resilience, Resistance, and Reclamation: Celebrating the Strength of the Urban Native American Community. Three more concurrent breakout sessions follow. They will be led by Darlene Renville Pipe Boy (Dakota elder) and activist/author/musician Phyllis Cole-Dai; Linda Eagle Speaker (South Alberta and Blackfeet Tribe, Montana) an elder in residence at MIWRC will speak about her boarding school experiences, and Chas Jewett (Cheyenne River Lakota) who is committed to protecting the land and water. The afternoon finishes with a panel discussion of Native youth. Sharon Day, a water (nibi) walker. 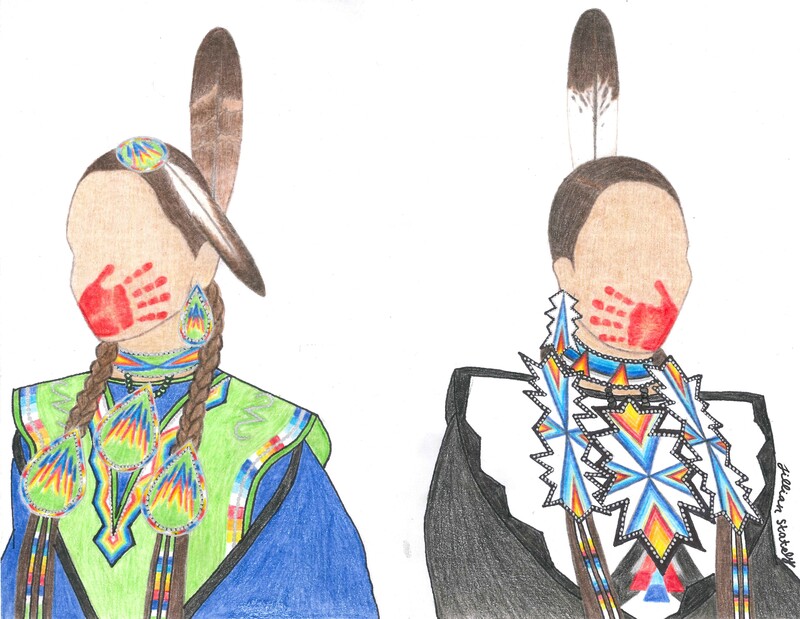 Saturday evening: The Ikidowin Acting Ensemble, a group of Native youth ages 12-18, will perform “We Will Do it for the Water!” a play written by Sharon Day based on recent efforts by Indigenous People to protect the waterways. Directed by Curtis Kirby (Ojibwe). 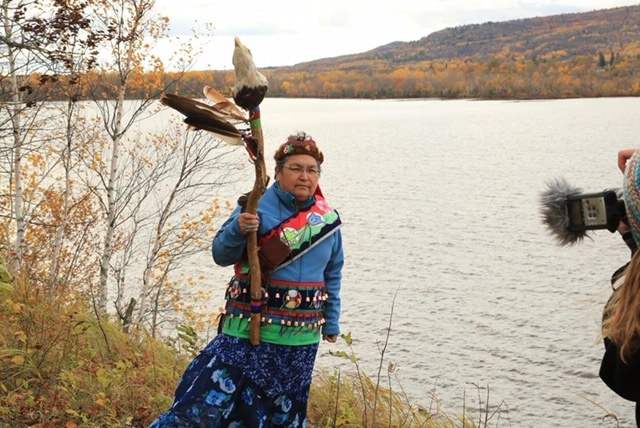 Sunday morning: We will convene at Hidden Falls in St. Paul for a Water Ceremony led by Sharon Day (Anishinaabe) a water (nibi) walker It will be followed by breakfast and a closing ceremony. ← Racist Editorial Cartoon Mocks Phillips, Native Americans: How Best to Respond?